Exploration, Excitement, Experiences. They’re what the PADI Advanced Open Water Diver course is all about. And no, you don’t have to be “advanced” to take it – it’s designed so you can go straight into it after the PADI Open Water Diver course. The Advanced Open Water Diver course helps you increase your confidence and build your scuba skills so you can become more comfortable in the water. This is a great way to get more dives under your belt while continuing to learn under the supervision of your PADI Instructor. This course builds on what you’ve learned and develops new capabilities by introducing you to new activities and new ways to have fun scuba diving. 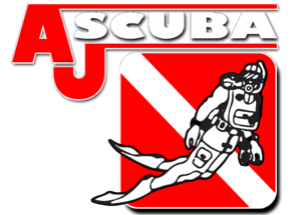 We recommend all Open Water Divers take this class. This class makes you a better diver by fine tuning your diving skills and makes you feel a lot more comfortable in the water. The price includes the Advanced Open Water Textbook which includes information on fifteen different adventure dives. The Advanced Open Water Certification will certify you to a depth of 100ft. This Certification includes five Open Water Certification Dives. The mandatory dive include Deep Diver and Underwater Navigation. You can choose three other areas out of the fifteen adventure dives that interest you. We recommend wreck Diving, Peak Performance Buoyancy, Night Diver or Boat Diver. We like to complete these dives on Lake Michigan's Shipwrecks or they can be completed in an inland lake. There are so many great shipwrecks in the Milwaukee area that we would like to show you! Students get 50% off charter rates with AJ Dive Charters during their training dives. Includes Textbook, Five Open Water Certification Dives, and Certification Card. Does NOT Include rental equipment, Specialty Equipment, Site or Charter Boat Fees.